Founded in Milan in 1937, MAPEI is the world’s leading manufacturer of adhesives and ancillary installation products for all types of floor and wall coverings. Starting in the 1960s, MAPEI put its strategy of internationalization into action in order to maximize proximity to local markets and to minimize shipping costs. MAPEI Group now counts 79 subsidiaries (7 of which are non-operational companies) and 67 plants in 32 countries on 5 continents. Furthermore, MAPEI has created a Technical Assistance Group for its Cement Additives Division (C-ADD) customers. The group consists of experienced process engineers from the cement industry to provide specific technical assistance. By performing complete plant audits and by analyzing the grinding circuit’s performance, the TAG team assists C-ADD customers with implementing the cement additives and optimizing every aspect of the grinding process. In 2001 MAPEI introduced the new line Cement Additives Division (C-ADD), dedicated to cement production. These additives are not meant for traditional MAPEI customers, but rather are used directly in cement production plants. C-ADD formulates grinding aids to solve agglomeration problems within tubular mills and to improve cement quality. Their active properties help to eliminate pack-setting phenomena between ground particles and reduce the coating inside the mills. C-ADD grinding aids also enable optimization of plant operating conditions while improving the quality of the finished cement, positively impacting the economics of cement plant operations. The grinding additives improve the characteristics of cements that are later mixed with concrete admixtures to become indispensable raw materials in preparing a durable concrete. MAPEI produces four families of grinding additives: MCH (grinding aids and pack-set inhibitors), BXR (grinding aids and strength enhancers), HSG (grinding aids for Portland cements) and AEC (air-entraining and waterproofing additives for masonry cements). These additives are added in modest quantities and continuously during the grinding process, to increase mill yield and enhance cement performance. The philosophy driving C-ADD is, of course, MAPEI’s utmost care for the quality of its formulations and for customer satisfaction, never hesitating to select raw materials that ensure absolute, consistent and enduring quality. The goal is to “deliver quality”, minimizing fixed costs (such as transport and production) as compared to the total expenditure per ton of cement produced, in order to meet the cement industry’s real needs. In addition to its basic products, the Cement Additives Division is more than willing and able to formulate tailor-made additives. 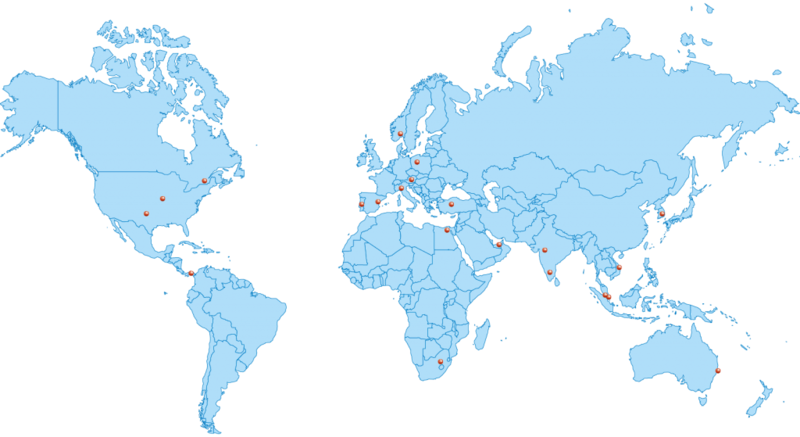 MAPEI’s cement additives are delivered to more than 70 countries from our 20 production units in Italy, Spain, Portugal, Norway, Austria, Poland, Turkey, Vietnam, Australia, India, Singapore, Malaysia, South Korea, the United Arab Emirates, Egypt, South Africa, the USA and Panama.